Groundhog vs. Groundhog: No Matter Who’s Right—Be Ready for More Winter! Here in Vermont and Northeast New York, we’re divided between the two most famous Groundhog Day prognosticators. On the one hand, there’s Punxsutawney Phil in Pennsylvania. On the other hand, there’s Staten Island Chuck in… Staten Island. Sometimes the two make similar predictions. This year it was different. We would love to think that Staten Island Chuck is right, since he predicted an early spring. But let’s be honest: Groundhog Day accuracy isn’t something you should use to plan for your home heating needs over the next six weeks. There’s still cold weather ahead, and you want to make sure that your heating system will make it through to whenever it is that spring comes to the rescue. We have some advice on how to do this. Posted in Heating | Comments Off on Groundhog vs. Groundhog: No Matter Who’s Right—Be Ready for More Winter! 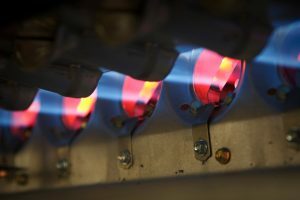 This is a topic we bring up at the start of each fall, because it’s important for homeowners to keep tabs on the furnaces that heat their homes through the winter. Each fall, you need to ask if your furnace will make it through the next winter in good shape, performing at high energy efficiency levels, and without safety concerns. Eventually, you will need to have the furnace replaced—no mechanical device can last forever—and maybe this is the year to schedule the replacement job with our HVAC professionals. Should You Replace Your Furnace This Fall? It’s almost October, and before you know it you’ll be clearing away Halloween decorations, then Thanksgiving dinner leftovers… and the cold weather will be here! Right now is the ideal time to make sure that the furnace in your home is prepared to handle the chill. One of the best ways to do that is to schedule annual maintenance from a professional. 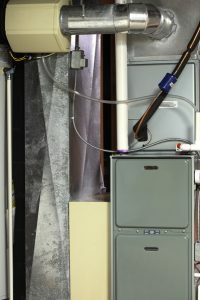 Posted in Heating | Comments Off on Should You Replace Your Furnace This Fall?